I may have hinted at this on occasion in the comment sections of certain blog posts, but upon some recent developments, it is important to go into detail with this in the form of a blog. Google is the world’s most prominent search engine and, as a result, it serves as a source for billions of people when it comes to finding information online. As such, Google has a responsibility to use its platform wisely and to aggregate with fair results. In the talks these days of the threats of repealing net neutrality, many are seemingly ignoring how Google’s latest “fake news” algorithms are going beyond just hiding false stories in their search results. As documented on a number of occasions, it is using its website to deliberately censor alternative websites and actively promote lies of the mainstream media. We have had this problem for a while with purposeful Google pages promoted by a scornful psychic to attack our website’s reputation. Other websites, including my two of my favorites New Prophecy and World Socialist Web Site, are combatting this issue as well. The reason I’m writing this now is that a straw is breaking and its about to spill itself all over silicon valley in the near future. Karma will come back to haunt the Google executives in ways they cannot currently comprehend. I’ve mentioned that Wikileaks would expose a lot of their corruption in a previous prediction, but that is only the smallest extent of what is about to hit their door step within a matter of months, maybe even weeks. 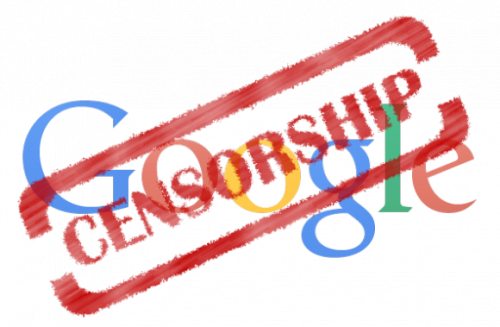 It has already started with this recent scandal on censoring conservative opinions in their workforce and it will get worse for them as blowback from both the left and the right makes itself known to them. They will see what happens when you drive content down the results pages because the powers that be tell you to. No matter how much they may proclaim themselves as kings of the internet, emperors have no clothes in this sphere and they will see that when they are de-pantsed and exposed for all to see. It will take them off their perch and either force a change internally or see their company’s implosion come in a couple of years time. No matter how mighty they are, those that are corrupt will always fall. I feel like I didn’t have a lot to say last month and that hasn’t changed for this month either. Here is what I have so far. 1) I feel there will be significant problems in the heartland of America. I think this is in relation to terrorism or a mass shooter/shooters, but I’m not 100% sure. 2) I also feel that there may be a tragic death of a female celebrity this month of a big caliber. People like Angelina Jolie or Prince Harry’s girlfriend Meghan Markle come to mind. 8/15 ETA: A few more predictions. 3) I was just in Europe and could feel the negative energy all around me. I especially felt it in Brussels and Paris where terrorist incidents had happened before and after I left. Something big is coming to Europe in the near future. I know I’ve said this before, but being there first hand, it’s very obvious that some of the smaller incidents that have been in the news recently are all leading up to something awful in the fall. I tried my best to put protection spells on the continent at large, but the force of evil there was so overwhelming that I often times felt suffocated in its presence. Hope that my prayers worked, but if not, prepare for the worst. 4) I also feel that the recent spate of white supremacist violence in the US will expose police departments across the country for their role in elevating the recent rise of neo nazis. As I said earlier in the year, the police state, while not totally destroyed, will be greatly dismantled as a result of their allegiances to those like Richard Spencer. There hasn’t been much progress on this issue lately, but I think there will be again soon. 8/18 ETA: One new prediction in two parts. 5) Two thoughts on the reboot of American Idol which is a huge mistake. One is that the show will be a massive flop and will only last for one season. The second is that I saw a vision of four judges on the panel with Katy Perry, Lionel Ritchie, Charlie Puth and Keith Urban in the seats during the live show. Luke Bryan pulls out from the lowball offer producers give him and Lionel Ritchie will see a salary increase due to Puth taking less than initially offered. In the end, this will be a disaster and one that will make clear the era of the singing competition is coming to an end. 8/24 ETA: More predictions than I expected. 6) I feel that the Trump administration is going to mess with Bill de Blasio by releasing their decision not to indict Eric Garner’s killer days before the mayoral election. This, unlike other previous travesties of injustice, will cause widespread rioting and sees de Blasio either lose his election or lose his life all together. It will not be pleasant days ahead for the city of New York. 7) I may have already posted about this, but since Australia is going ahead with the ill advised and extremely offensive plebiscite (not even a referendum that would bind the decision) on marriage equality, it is worth posting this. Since I don’t see marriage equality happening until 2019 or 2020, it means one of two things. It either means the yes side narrowly wins or they narrowly lose in the 50 point 2 or 3 range. Either decision will see accusations of fraud and the urge for a recount that would delay the parliament doing what it should have done in the first place which is hold a free vote. Only with Malcolm Turnbull’s ouster as prime minister on the heels of a successful leadership challenge of Bill Shorten’s labor party will marriage equality finally come to the country. Sadly, there will be significant economic damage that comes in the interim which puts Australia on poor financial footing for at least a decade, bringing bitterness towards the gay community there. That will eventually tide over, but it won’t be safe for gay people to go to Australia in the meantime and I’d advise postponing your vacations there if you want to avoid being beaten up in the street.